When do you hang with an old dude online? When he’s running for office! 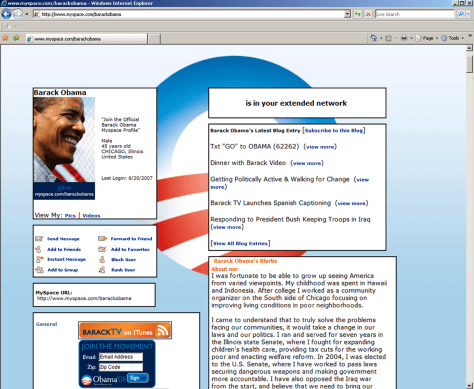 Barack Obama uses his MySpace profile to win support from voters. With so many candidates and so little time between summer run Reality TV shows, the only thing that matters now is social networking skills.